In an effort to improve and standardize OB-GYN ultrasound training, AIUM assembled a multi-society task force of experts in obstetrics and gynecology, radiology, and medical education to develop consensus-based, standardized curriculum and competency evaluation process. In January 2018, American Journal of Obstetrics & Gynecology, Journal of Ultrasound in Medicine, and Ultrasound in Obstetrics & Gynecology officially published the recommendations in a checklist form. What does this mean for OB-GYN training programs moving forward? A 2015 needs assessment performed revealed that a majority of OB-GYN residents felt that residency training adequately prepared them to perform and interpret OB ultrasound examinations (68.3% and 65%, respectively). Approximately 77% of residents expressed a desire for more formal training in OB ultrasound. A majority of GYN residents felt inadequately prepared to perform and interpret GYN ultrasound examinations (77% and 70%), and approximately 88% of OB-GYN residents reported wanting more formal training in GYN ultrasound. The goal of the AIUM Consensus Recommendations is to standardize OB-GYN ultrasound training and emphasize competency-based training. Widespread implementation of the new OB-GYN training recommendations will ideally ensure trainees develop a uniform, high level of ultrasound proficiency. In response to the AIUM Recommendations, SonoSim has designed a comprehensive OB-GYN ultrasound training library using real-patients with a variety of pathologic conditions. 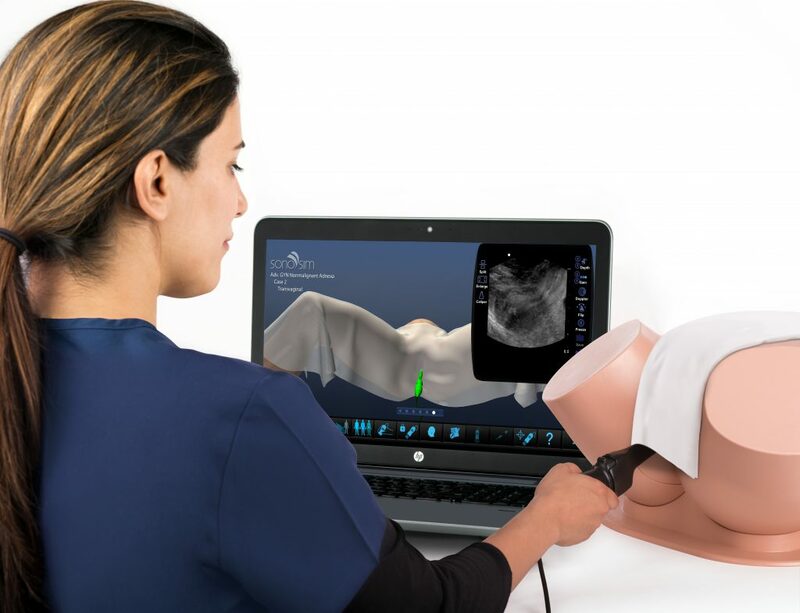 The SonoSim® Ultrasound Training Solution is a laptop-based ultrasound training solution that provides education in a modular format (didactics, assessment, and SonoSimulator® hands-on scanning). SonoSim’s educational offerings and assessment tools address the recently published standards and make it easy for OB-GYN program directors seeking to match the latest training requirements. Learn more here. Green I, Kahan M, Wong S. Obstetric and Gynecologic Resident Ultrasound Education Project: Is the Current Level of Gynecologic Ultrasound Training in Canada Meeting the Needs of Residents and Faculty? J Ultrasound Med. 2015;34(9):1583-1589.